Openbravo is written in Java on the server side, and uses Tomcat or other standard Java appservers, allowing easy horizontal scaling. For database, the Openbravo platform natively supports both PostgreSQL and Oracle levitra 10 mg. 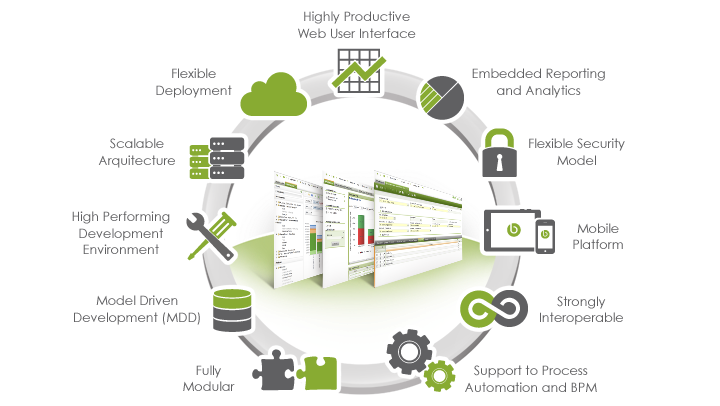 While the Openbravo ERP Platform seamlessly integrates an incredible collection of enterprise-grade open source technology, another very valuable part of the system is the proven, cross-industry ERP Business Functionality that is built on top of it — fully available to use out of the box, and to extend in a modular (and fully upgradeable) way as needed. Additionally, companies with retail operations can leverage a rich layer of retail-specific business functionality through Openbravo Commerce http://eblanpharmacy.com/272.html. Adaptive business solutions with rapid and sustainable value http://eblanpharmacy.com/322.html.